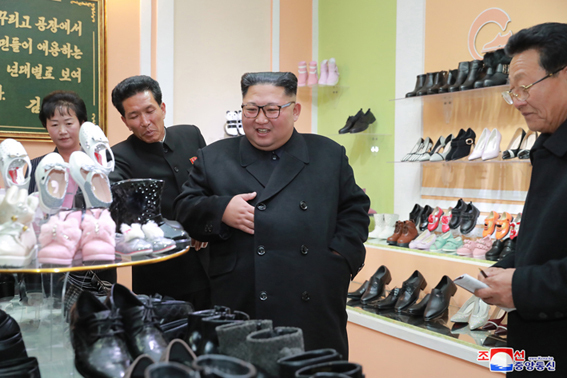 Kim Jong Un, Chairman of the Workers' Party of Korea, Chairman of the State Affairs Commission of the DPRK and Supreme Commander of the Korean People's Army, visited the Wonsan Leather Shoes Factory. 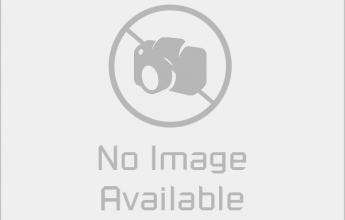 Supreme Leader Kim Jong Un said that he was so pleased to receive the report that the Wonsan Leather Shoes Factory took the first place at a recent national shoes exhibition and that Maebongsan-brand shoes presented by the factory were very popular among the people. He added that a small local factory has become a shoes factory well known all over the country, an iconic factory leading the shoe-making industry of the country. He looked round the room for education in revolutionary history and the room dedicated to the history of the factory and the sample display room newly arranged by the factory. Carefully looking at the historical relics displayed in the room for education in the revolutionary history, he said that a once old and shabby factory has undergone a complete change, noting that the factory, which Chairman Kim Jong Il had visited during the last period of his life and so much worried about, has now become a model and standard shoes factory of the country. He underlined the need to make the visit to the room for education in the revolutionary history regular part of life to make sure that all the employees turn out in implementing the Party's policy and bring into a reality the lifetime desire of Kim Jong Il with increased production, cherishing deep in their minds the history of the factory associated with the footprints of patriotic devotion left by Kim Jong Il and his leadership exploits. Touring the uppers-making workshop, shoemaking workshop and other places of the factory, he learned in detail about the implementation of the Party's policy. Praising a young needle worker who just graduated from a school for successfully handling an auto-sewing machine operated by a control program at the uppers-making workshop, he called for giving full play to the creative wisdom of technicians and skilled workers and widely introducing computerization into the needlework. He stressed that in order to meet the daily-increasing people's demand, it is necessary to keep pushing ahead with the work of ensuring world-level quality with an emphasis on ensuring diverse patterns, decent colours and lightness and durability while meeting the aesthetic tastes of the Korean people. A prerequisite to improving the quality of shoes lies in good designs, he repeatedly stressed, calling for deeply studying and actively introducing the world trend of the developing shoes industry and shoes engineering and thus putting primary efforts on creating various new designs favoured by people. Praising the factory for collecting feedback from the public after placing "feedback books" at outlets and introducing them into production, he said that the factory should lend an attentive ear to the public comment, deeply consider what kinds of shoes people of different ages and jobs like in different seasons, and thus produce more shoes favoured and demanded by all men and women, young and old. He had a photo session with the employees of the factory at workshops. 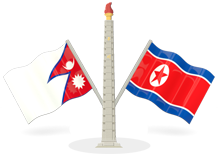 He was accompanied by Hwang Pyong So, first deputy department director of the WPK Central Committee; Jo Yong Won, deputy department director of the WPK Central Committee; and Kim Chang Son and Ma Won Chun, officials of the State Affairs Commission.